Opening in 1939 Transylvania, five-year-old Josef witnesses the murder of his family by the Romanian Iron Guard and is rescued by a Gentile maid to be raised as her own son. Five years later, Josef rescues a young girl, Mila, after her parents are killed while running to meet the Rebbe they hoped would save them. Josef helps Mila reach Zalman Stern, a leader in the Satmar community, in whose home Mila is raised as a sister to Zalman’s daughter, Atara. As the two girls mature, Mila’s faith intensifies, while her beloved sister Atara discovers a world of books and learning that she cannot ignore. With the rise of communism in central Europe, the family moves to Paris, to the Marais, where Zalman tries to raise his children apart from the city in which they live. When the two girls come of age, Mila marries within the faith, while Atara continues to question fundamentalist doctrine. The different choices the two sisters makes force them apart until a dangerous secret threatens to banish them from the only community they’ve ever known. ANOUK MARKOVITS grew up in France. She attended a religious seminary in England instead of high school. After she left home at the age of nineteen to avoid an arranged marriage, she attended Columbia University. She has a Master of Architecture from Harvard and a PhD in Romance Studies from Cornell. 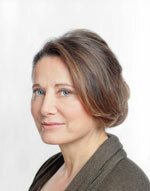 She has worked as an architect and as a set designer on major films including The Unbearable Lightness of Being. She lives in New York. Her first novel, Pur Coton, was written in French. 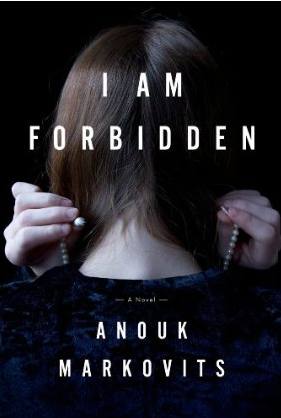 I Am Forbidden is her English-language debut and will be available on May 8, 2012.